Pitting cherries is really annoying. There's no neat way to do it with a knife and, though they make a tool that does it, not everyone has space in their kitchen for a gadget that does so little. But fresh cherries are so delicious when they're in season... it's almost worth the extra hassle and/or space usage. News flash: turns out you don't need a gadget at all! 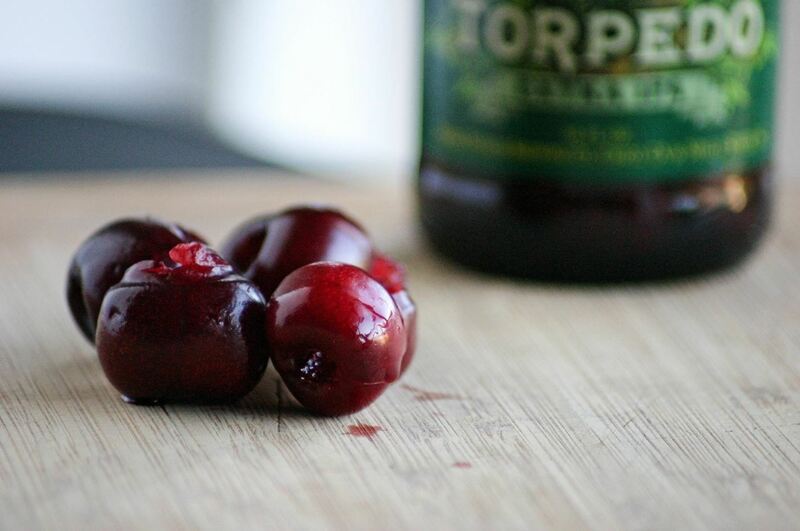 You can pit cherries in an instant, and all you need is an empty bottle (it's a good excuse to drink a beer, right? ), and a chopstick. 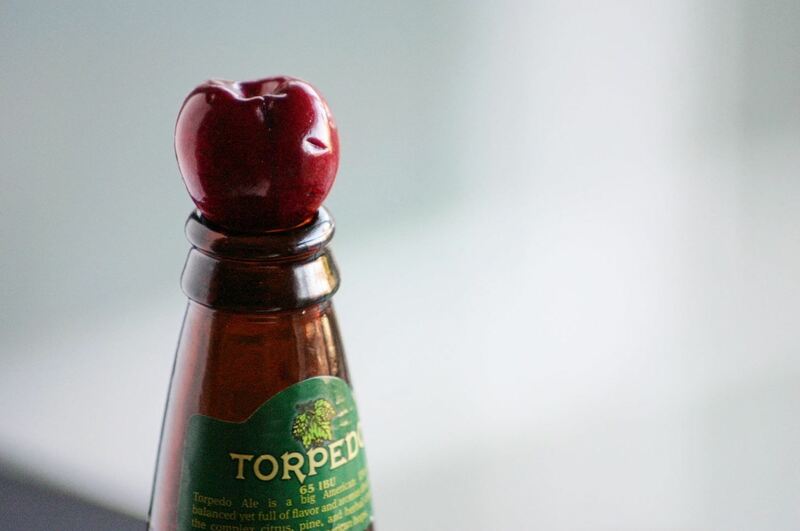 Rest a cherry (remove the stem, if it has one) on top of the bottle, so that it rests on the lip. Make sure the top of the cherry is facing up. Place the thick end of a chopstick on the top of the cherry, and push down until the chopstick fully punctures the cherry. 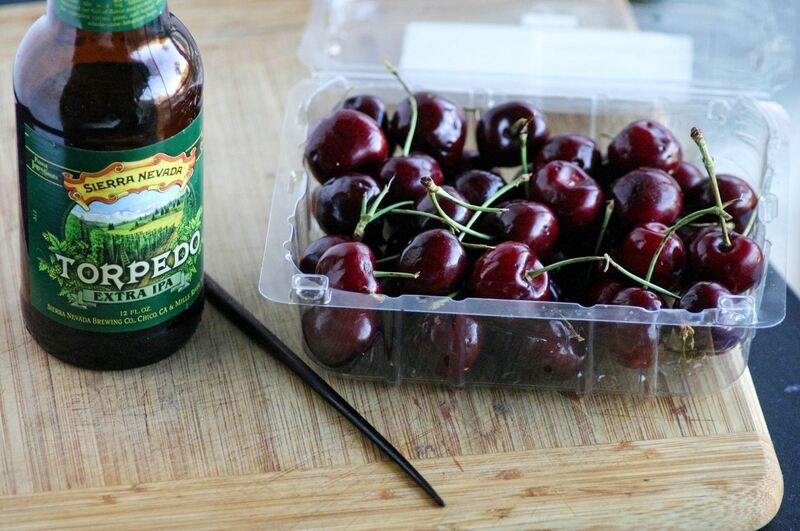 The pit will be in the bottom of the bottle, and the cherry will be waiting to be eaten or cooked with. You may be concerned about just squishing the cherry into oblivion. If the cherry isn't overripe and you apply even, steady pressure, the only thing that should happen is the pit plopping into your bottle. Then you are left with a delicious ruby gem with no annoying stone. It's really that simple! If you get in a good rhythm, you can get a whole pint of cherries pitted in no time at all. I've bypassed cooking with cherries many times simply because I didn't know how to pit them easily and with no mess. No more! 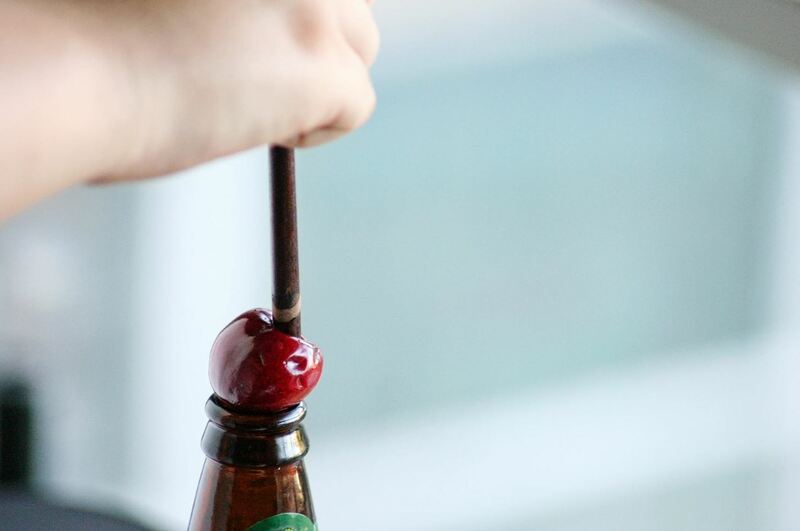 As far as I'm concerned, this is the only way to pit cherries... you'll agree the minute you give it a try.